The SMVector series of drives supports input voltages up to 600 volts. Although these voltages are pretty much the standard in the US, many people do not realize the differences in wiring between single phase and three phase. One of the slightly deceptive configurations in the single phase 240 Volt SMVector drive is that it shows and L1, L2 and N input but the wires are actually only wired to L1 and L2. Wiring the SMVector series drive is a simple enough process, but the proper safety precautions should always be taken to ensure injury or death do not occur. For this reason, it is ultimately the responsibility of the one performing to work to take the proper precautions as designated by their local safety laws and regulations. 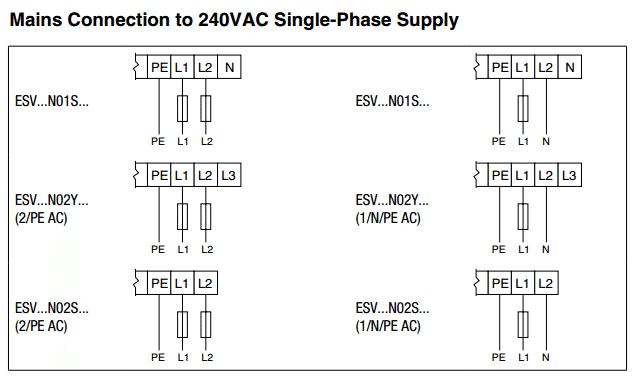 This article illustrates how to wire an SMVector series drive for a 240 volt single phase main supply input. It also illustrates how to determine what voltage the SMVector drive is rated for. Note: This tutorial and task should only be performed by a qualified drives specialist. Before You Begin: Make sure the drives input voltage rating is rated for 240 Volts AC 1 Phase by looking at the drives nameplate (the demonstration image below shows input voltage of 400/480 V 3 phase). 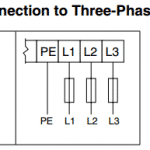 Note: 3 Phase Drives can be powered with 1 Phase but the drive must be derated for the application. Contact us for more details. 1. Make sure the mains power supply you will be wiring has been completely shut off and locked out. 2. 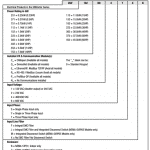 Note the manuals wiring diagram for wiring 240 Volt single power phase to an SMVector drive. There are two separate types of 240 Volt single phase power illustrated. Either you will be utilizing a 240 volt single phase from an original three phase source (left) or have a separate 240 Volt supply with a corresponding neutral (right). 3. Wire the Fused 240 Volt A Phase or Fused Hot wire to the L1 input. 4. Wire the Fused 240 Volt B Phase or common wire to the L2 input. 5. Wire the 240 Volts ground to the PE, or ground, input. 6. Apply power to the drive. You should be greeted with the following display on the keypad. If you run into any issues when accessing your SMVector parameter menu, feel free to contact us for support. Precision Electric takes pride in offering technical support services to all of their existing or future customers.